The resort where Alice Dixson was staying explained that both Alice and her husband are residents of Boracay with proper documentation. 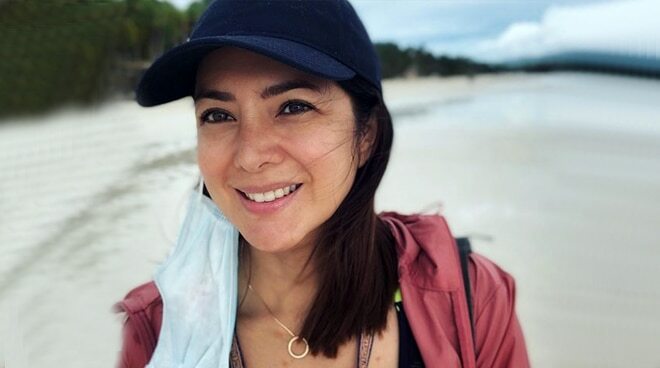 Alice Dixson received criticisms from netizens after she was seen spending her birthday in Boracay, which is currently closed to tourists for rehabilitation. The management of the resort where Alice was staying came to her defense and released a statement regarding the presence of the actress on the island. In a statement reported by ABS-CBN News, Crimson Resort and Spa Boracay explained that Alice is in Boracay because she is the "wife of a top executive" of the resort. The statement also said that both of them are "residents of the island with proper documentation." The statement further read, "This has been confirmed and verified during an inquiry done by the Department of Interior and Local Government." It is the first time that Alice has been referred to as married after her divorced in 2013. Chroma Hospitality, Inc., the management company of Crimson Resort and Spa Boracay, reiterates that the resort is in full compliance to the closure and rehabilitation order for Boracay Island pursuant to Executive Order 53 series of 2018. The resort is not violating any government regulation regarding the closure. It is not accepting and entertaining guests at the resort, contrary to the articles released in the media where actress Alice Dixson was seen on the island. Ms. Dixson is the wife of a top executive of Crimson Resort & Spa Boracay. They are both residents of the island with proper documentation. This has been confirmed and verified during an inquiry done by the Department of Interior and Local Government. "We continue to support the government’s initiative to rehabilitate the island to ensure its long-term sustainability and we look forward to welcoming our valued guests here at Crimson Resort and Spa Boracay, once the island reopens," Chroma Country Manager James Montenegro said.